Survive in the abandoned city! 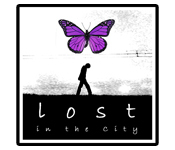 Lost in the City is rated 4.0 out of 5 by 49. Rated 5 out of 5 by Tr1n1ty85 from Lost in a haunting mystery I've played more than a few hidden object games, and this one is by far one of the best. The story line is phenomenal. You awake in a room with no memory how you got there, and a simple note is your only clue. Each step you take draws you deeper into a twisting, turning mystery. The graphics are moderate, but the music is haunting, and so fitting for wandering a completely empty city all alone. 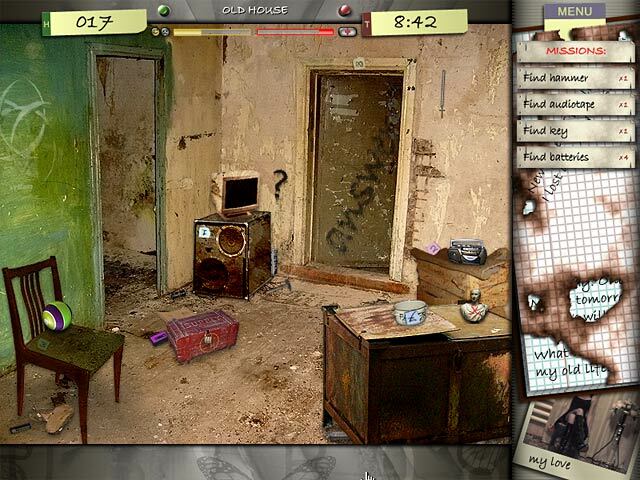 The puzzles and hidden object scenes are challenging but doable. The game is longer than most; I have a habit of playing through a great game in a sitting and that's hard to do with this one. But you can't resist coming back again and again, and while some hidden object games have a predictable plot that you can see coming a mile away, you'll never guess where this one ends up. I recommend using ear buds, because the soundtrack is half the fun. Rated 5 out of 5 by crowweaver from Loved getting Lost in the City The visuals are amazing and the idea is mind bending. It's weird and wonderful! Rated 5 out of 5 by Novella2 from It may be fun being lost? Somehow I missed seeing this game. Found it by accident. Wish BF would show the original dates of games. Anyway, this game is TOTALLY different. You do get "fined" points for misclicking,but if you ignore that fact, it's lot of fun. Again, no HOS. Finding clues and objects and using them to solve what's going on. Usually, I can predict what may be happening,but not so much with this game. The game keeps you guessing, and appears to be quite long. Rated 5 out of 5 by smilingsun72 from Amazingly different! Captivating Story! Very Different! I'm a fan of Elephant games, so I thought I'd give this a try since BF was having a sell. After reading the reviews I purchased the game. From the beginning I was hooked. I wanted to know what happened next. As I progressed through the missions/chapters and read more I kept trying to figure out who or what was behind the young man's and Ann's captures. A city, an orb and lots of crazy clues made it fascinating. I just know this was different than other HOs Puzzle games I played. 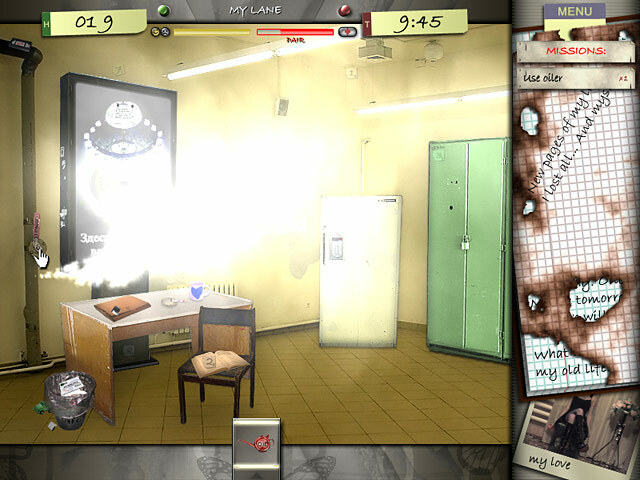 Rated 5 out of 5 by blindmonkey from I've got to discover secrets !?!? Whose secrets?? How??? based on demo game play; I'm hooked !!! I'd never even knew this game existed until I read a review of another game and it was listed as that persons favorite game...and it piqued my interest.... 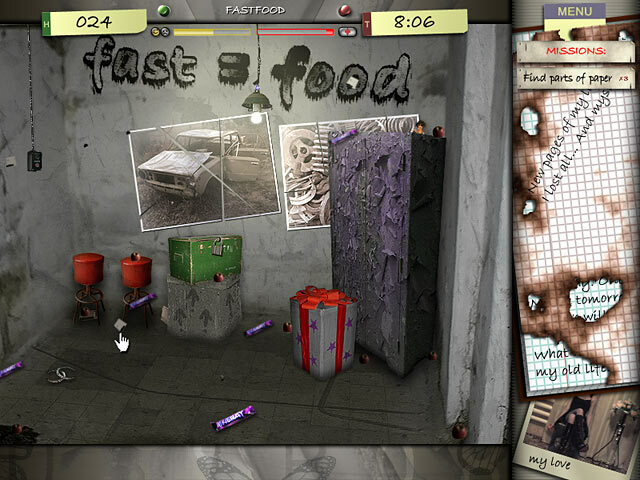 I dld the demo and checked out the offerings in the menu-secrets?? I'd be earning money to buy secrets,I wonder what the secrets are??? How do I earn said money to purchase them??? What do I do with them once bought ??? I hadn't even started the game and my mind was going a hundred miles a minute....I GOTTA GET THIS GAME....NOW !!!! So that's what I'm doing,I bought the game and at this moment it's downloading !!! I'm very excited to get back into the game...I haven't felt like this towards a game since . . . . .I can't remember the last game that grabbed my imagination this completely !!!! I can't wait to play more and find out the "who-what-why-where&when !!!! I'm totally stoked to play this...and I NEVER use the word "stoked" !!! lol Quickly,the graphics are good...there is a LOT of reading....be warned....From where I left off to buy the game,it was just me,no other people to interact with,just spotting clues and figuring out W H Y ??? I hope you give the demo a try. . . And if you're anything like me,that demo will grab your imagination,just as it did mine and you'll run to buy it and write your review while it's downloading !!! Enjoy !!! And to my delight,I just saw that there's a part 2 !!!! Oh be still my excitedly beating puzzle solving heart !!! as always,Happy Gaming Everyone !!!!! Rated 5 out of 5 by iamthepenguin from Awesome Storyline Haven't played this in a while but this was my absolute favorite game for a long while...Great, great storyline kept me hooked. Rated 5 out of 5 by Amijane from Fantastic! First: there IS a walkthrough even if the description above doesn't mention it! And this is a game for us oldies who have been here since the computer games beginning! It is more like an interactive book than a challenging game but the story is just amazing and the ending is perfect! I started this game some while ago...thought it boring and then returned...and what a return! This is just great!!! Rated 5 out of 5 by Montana_Peach from Couldn't Put It Down! I rarely leave reviews but had to for this game. The game play is simple but that's not what this game is about - this one's all about the story. It sucked me in immediately and I couldn't put it down till I got to the end. It's very different from the usual game and quirky, but a great change of pace. A definite 'must have' if you like a good mystery. For the Sandra Bullock fans, I was reminded of 'The Net'. All around excellent game. Rated 5 out of 5 by ibjen1980 from Most Intriguing Storyline Ever Played Not gonna write a long, in-depth review...review title pretty much says it all. Very long game. Voice-overs would have been nice, IF done very well, so maybe best left alone, because WOW. This was the most intense, interesting, griping, original game I think I have ever played and I am a HOG/adventure expert, big-time. Been playing a few a week for years & years, and this one will stick out in my head as one of the best, forever. A true "hidden gem", IMHO.Know it won't be for everyone ; if you're just looking for flashy acting and superb graphics, look elsewhere. But I'm telling you, the graphics are good enough, and the story is so great, most won't care one bit! I LOVE great graphics myself, actually, and at first thought I would be dissapointed too. Till about 5 min in! Then...HOOKED. LOVED IT. Give it a trial run first and see if you feel as i did...totally sucked-in to this amazing game!